A survey of more than 9,000 professional photographers in the U.S. shows that film continues to have an avid following, with 75 percent of photographers saying they will continue to use film, even as some embrace digital imaging technology. The results of the U.S. survey, conducted by the Eastman Kodak Company, mirror the results of a similar survey the company recently conducted in Europe, where more than two-thirds of professional photographers surveyed plan to continue using film. ATP, a leading manufacturer of flash memory solutions, announces the availability of its 300X Promax II CompactFlash series, one of the world’s fastest CompactFlash cards equipped with the ability to support UDMA (Ultra Direct Memory Access) mode. By taking advantage of the UDMA interface, the ProMax II CompactFlash has a 300X (up to 45MB/sec) transfer speed rating and is designed specifically to maximize the performance of current and next generation DSLR cameras by optimizing write transfer speeds for high resolution continuous shooting. Transcend Information, Inc. (Transcend), an international leader in flash memory products, announced its entry into the digital photo frame market with the new T.photo 710, which combines a stylish design with a brilliant high-resolution 7-inch TFT flat-panel display. Transcend, a global leading brand in flash memory cards, rolled out its largest capacity CompactFlash product to date - a 16GB (Type I) card with ultra-fast 133X transfer rates. Transcend’s 133X CF card targets serious users who demand superior performance and reliability from their memory cards, including professional photographers, reporters and photography enthusiasts. To ensure ultimate compatibility and speed, it operates in both dual-channel transfer and the Ultra DMA mode 4 standard. The DMC-TZ3 boasts 7.2 megapixels and a large, 3.0-inch LCD, and the DMC-TZ2 has 6.0 megapixels and a large, 2.5-inch LCD. The TZ3 and TZ2 are the latest members of the Lumix TZ family of digital cameras, which is renowned for packaging a remarkable 10x optical zoom lens in a compact, stylish body. The TZ3 is successor to the DMC-TZ1, a camera Panasonic conceived as a 'World Traveller' that not only offered a 10x optical zoom and compact styling, but also incorporated a host of unique, traveller-friendly functions that have earned worldwide praise. Eight years after Nikon’s D1 camera changed professional digital photography forever, Nikon today introduced the D3 – a new digital SLR camera that is poised to once again revolutionize photography for professionals. The 12.1 effective megapixel D3 features Nikon’s new FX-format CMOS sensor, measuring 23.9 x 36mm, which is nearly identical to the size of 35mm film. With the fastest startup time, shortest viewfinder blackout time, and shortest shutter lag of any digital SLR camera as well as the capability to shoot up to nine frames per second at full FX-format resolution, the D3 is the world’s fastest digital SLR camera in its class. 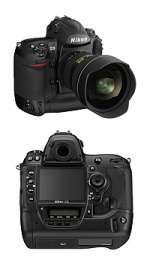 Nikon introduced its most advanced DX-format digital SLR camera, the D300. Engineered with pro-level features and performance, the 12.3 effective megapixel D300 combines brand new technologies with advanced features inherited from Nikon’s newly announced D3 professional digital SLR camera to offer serious photographers remarkable performance combined with agility. 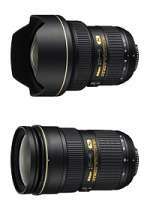 Nikon announced two new high performance Nikkor lenses that offer remarkable sharpness, clarity and contrast. The new AF-S Nikkor 14-24mm f/2.8G ED lens is one of the fastest 14mm ultra-wide angle zoom lenses available today while the new AF-S Nikkor 24-70mm f/2.8G ED lens is a highly versatile lens ideal for a broad range of applications and lighting conditions. While designed for use with either of Nikon’s FX and DX format digital SLR cameras, these new lenses truly maximizes the potential of Nikon’s recently announced D3 FX-format professional digital SLR camera. Combined with Nikon’s venerable AF-S Nikkor 70-200mm f/2.8G ED VR, these new lenses now offer professional photographers the ideal three-lens solution with a constant f/2.8 aperture across all three lenses. Nikon introduced three new super-telephoto Nikkor lenses that offer professional photographers the latest innovations in lens technology and optical design. 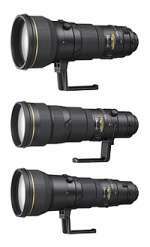 The new AF-S Nikkor 400mm f/2.8G ED VR, AF-S Nikkor 500mm f/4G ED VR, and AF-S Nikkor 600mm f/4G ED VR all offer unprecedented image quality, responsiveness and versatility along with new features such as Nikon’s VR II Vibration Reduction technology and Nikon's exclusive Nano Crystal Coat. These new lenses are designed for use with Nikon’s FX and DX format digital SLR cameras and together with Nikon’s current AF-S Nikkor 200mm f/2G ED VR AF-S Nikkor 300mm f/2.8G ED VR lens, they complete Nikon’s range of super-telephoto lenses. 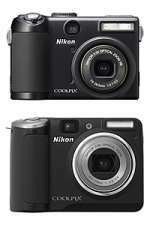 Furthering the development of wireless sharing technology in digital cameras, Nikon today introduced the new CoolPix S51c digital camera. This camera not only sends images via email through Wi-Fi, but it also supports my Picturetown, Nikon’s new photo sharing and storage service. In addition to an innovative Wi-Fi feature, the S51c boasts 8.1 megapixel resolution for generating high quality prints, a 3x Zoom-Nikkor glass lens ensuring great pictures with true-to-life color, and a huge, bright 3.0-inch LCD screen for users to easily compose and share images. Nikon is pleased to introduce two Style series cameras that offer fast response and outstanding photographic performance. 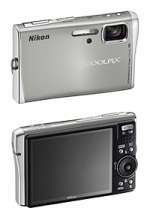 Developed for the savvy consumer who appreciates style and demands speed, the 12.1 megapixel S700 and 8.1 megapixel S510 digital cameras deliver increased resolution for high quality photos from the 3x Zoom-Nikkor glass lens, and Optical Vibration Reduction image stabilization technology. Nikon’s newest Style series offer picture-taking performance modeled in a sophisticated package: the S700 in sleek brushed aluminum and the S510 in elegant stainless steel. Nikon introduced today two new additions to its CoolPix Performance Series of digital cameras: the CoolPix P5100 and the CoolPix P50. 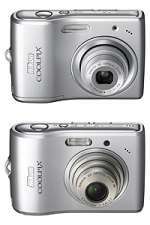 Both cameras offer versatility, advanced functions, upgraded features, great picture quality, and ease of use. Additionally, the P5100 and the P50 incorporate Nikon’s new EXPEEDTM advanced image processing system and high sensitivity capabilities that will help create incredible pictures in nearly any setting. 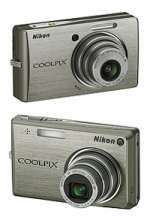 Nikon introduced today two new additions to the LIFE family of digital cameras: the CollPix L14 and L15. As the ideal companions to capture all of life’s moments, these compact, user-friendly cameras combine high performance and easy operation with the latest in imaging technology at affordable prices. Representing the utmost value to the consumer, the L14 will be able to capture an astounding 1,000 shots on a single pair of included Energizer LithiumA batteries, the most of any camera in its class. 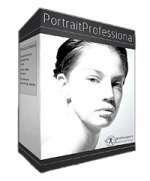 Anthropics Technology has recently released a new version of their Portrait Professional automatic portrait enhancement software. The software is designed to perform face touch-up and airbrushing quickly and easily, without requiring any touch-up or airbrushing skill. 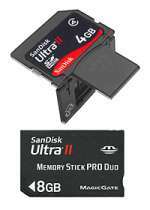 SanDisk Corporation today introduced two new capacities in its high-performance SanDisk Ultra II line: a 4-gigabyte (GB) SDHC Plus card and an 8GB Memory Stick PRO Duo card. Both cards offer fast read and write speeds of 10 megabytes per second (10MB/sec), reducing the waiting time between camera shots and the download time when transferring photos and video to a computer. Introducing the brilliant Olympus µ 1200. 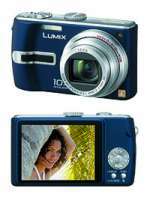 It packs an incredible 12 Megapixels and boasts a number of leading-edge innovations including Face Detection Technology for the proper exposure and focusing of faces. In addition, Shadow Adjustment Technology has been integrated to detect dark areas in a composition and optimises exposure for a more realistic image.